Choosing plants for the right gardening zone means a much greater chance of success. Before you begin planting anything in your yard, you need to figure out which planting zone — a.k.a. plant hardiness zone or gardening zone — your land fits into. 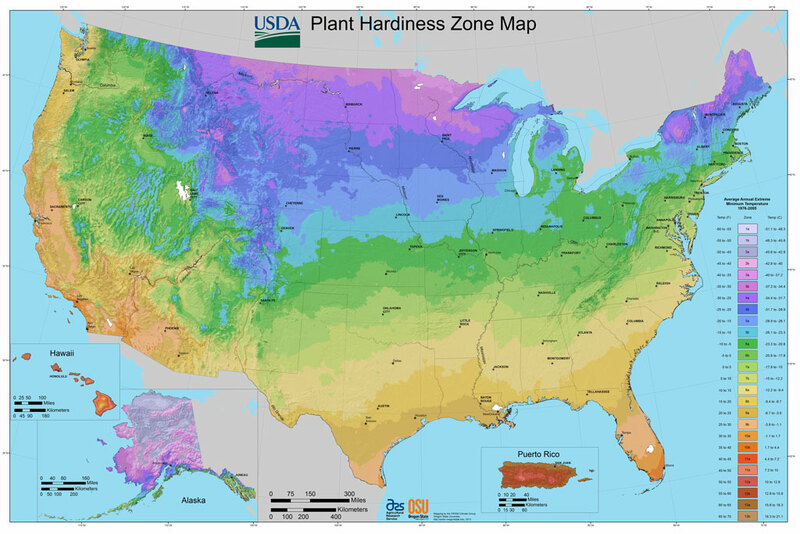 The USDA (United States Department of Agriculture) has created a map of these zones, to help growers identify whether specific plants will thrive where they are. It’s based on the highest and lowest temperatures that your geographic area routinely experiences. When I started gardening, I sometimes ignored these guidelines because I was determined to grow things even if they were unsuited to Georgia — for instance, lemons. I figured that since they grow abundantly in our neighboring state of Florida, and we don’t often get terribly cold or icy winters, I could just shelter my lemon trees with frost blankets then enjoy the fruit. Instead I got two tiny, hard lemons and a plant that died. It was a waste of money and effort. Now I prefer to stick to things like easy vegetables and annuals that I know are adapted to my state. Keep in mind that within each state there are gradations of zones, so you need to check for the exact zone where you live. Here in Georgia, zones range from 6a to 9a because we’re a fairly long state north-south, and we have very different weather conditions from our mountains to our coastline. Also, partly due to global warming, some areas of the country have had their weather conditions change significantly, and the planting zone maps have changed with them. It’s worthwhile to check again every couple of years for an update. My favorite place to look up planting zones is on the USDA website. You can type in your ZIP code and the answer will appear at the top of the screen. Or, you can select your state, then pick out your city or town from the interactive map that pops up. What planting zone do you live in?